The art storm is fast approaching Dubai. SIKKA, Design Days, Art Dubai…Seven days, seventy five international galleries, hundreds of artists and dozens of vernissages simultaneously taking place all over the city. For those of you who haven't mastered the powers of teleportation and duplication yet, here are my instants - favorite moments of this Art Season, starting with Hayv Kahraman. Combining Japanese art, Arabic calligraphy and Persian influences, Iraqi artist Hayv Kahraman focuses on aesthetics and today's perceptions thereof. 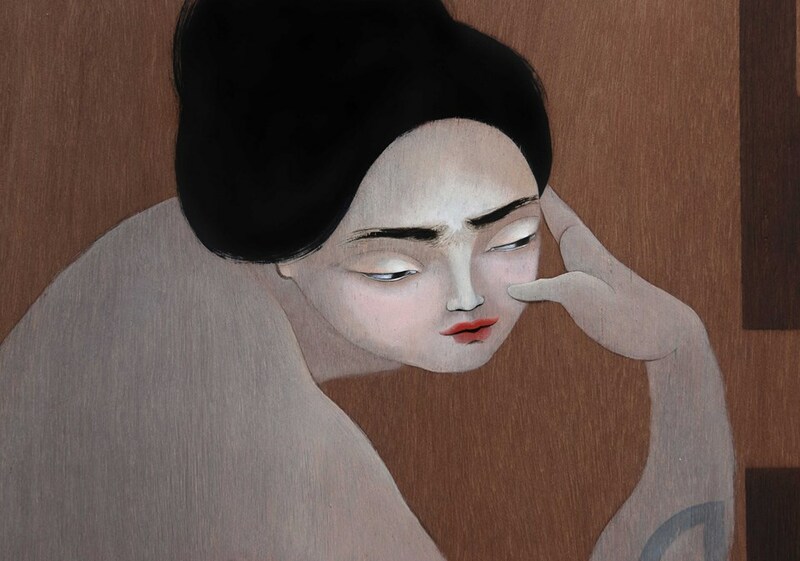 Apparent beauties from afar, flowing gently on her canvases and wooden panels, a closer look at Kahraman’s women reveals saddened features, tortured by war, honor killings and gender inequality. 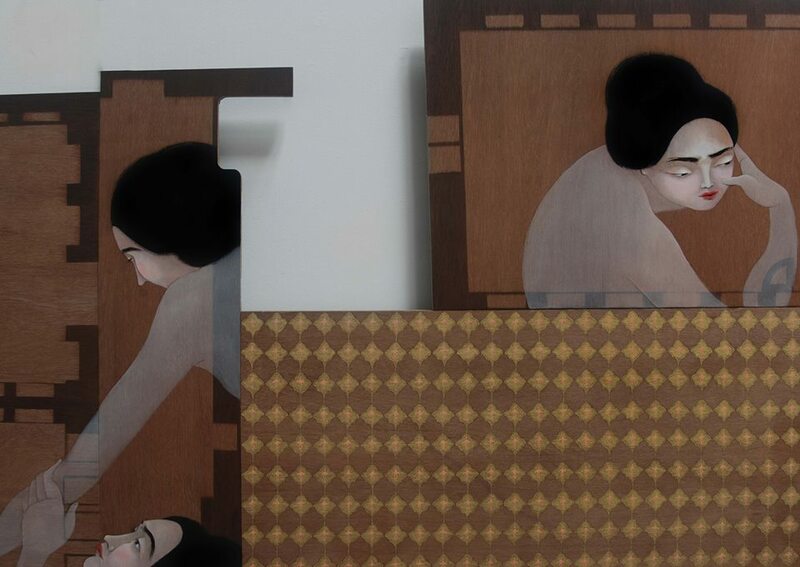 During Art Dubai, Thirdline Gallery will be showing Kahraman’s paintings on wood panels, inspired by houses in Baghdad, and sliding, puzzle-like installations of her women.